This pate is incredibly simple, so much so that that I am having a hard time coming up with what to say about it. 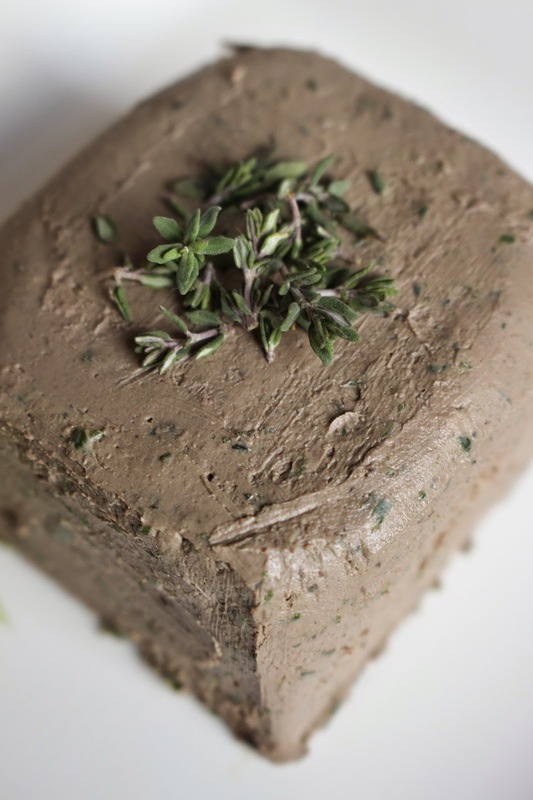 After creating my Asian Beef Liver Pate recipe, I decided to mimic a more traditional pate recipes using fresh herbs. However, because I can not tolerate onions and garlic due to the FODMAP content, I decided to use leek greens to give a similar flavor profile. Using the green part of a leek stalk is easily becoming one of my favorite ingredients this winter, as I am also enjoying them roasted with a bit of balsamic vinegar. Much like green onions, the white part of the leek is the only section high in fructose, making the greens a perfect, Low-FODMAP alternative. Overall, not only are the ingredients for this pate easy, but it is also super quick to create, as I simply sauteed the liver at breakfast, and then ran everything through the food processor before lunch. 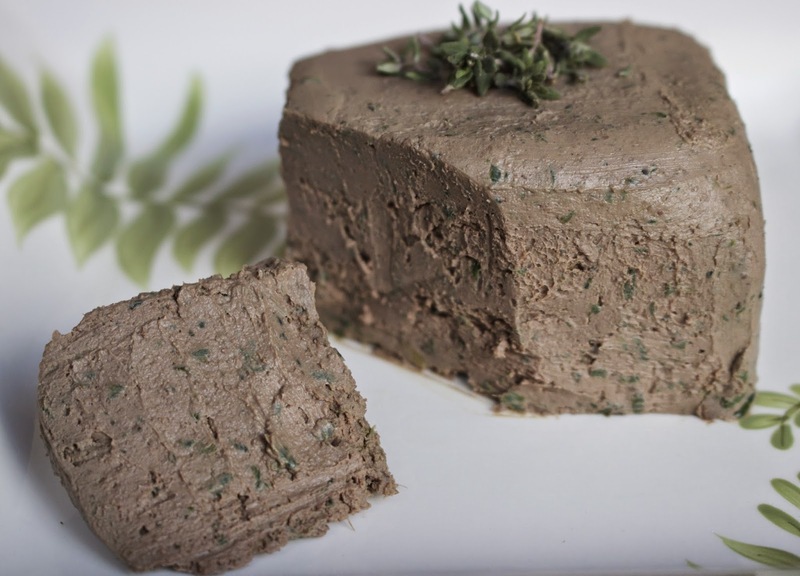 Whether served on plantain crackers, lettuce wraps, or your favorite raw vegetable, this herbed chicken liver pate is a great way to enjoy a boost of nutrients. Place two tbsp of chicken fat into a medium sized skillet, and het on medium-low heat. Rinse and pat dry your chicken livers, placing in the pan once hot. Cook chicken livers for 5-7 minutes, until no longer pink in the middle. Once cooked, allow to rest while preparing the herbs. In a food processor, pulse together leek greens, sage, thyme, and sea salt. Add in chicken liver and chicken fat, until fully incorporated. With the food processor running, pour in bone broth and vinegar, allowing to mix until the pate has become smooth. Scoop pate in desired serving dishes and place them in the freezer to chill for at least 3 hours (or) over night. Any animal fat can be substituted for the chicken fat, though the mild flavor of chicken fat marries the herbs together best.